Utah native talks about the art of creating computer-generated costumes. The world of creating computer animation—entire universes manufactured inside a mainframe—might seem far from live-action filmmaking. But there are analogs for a surprising number of real-world film production jobs—including designing clothing. What Draper native Emron Grover does as a cloth artist for Pixar Animation Studios isn't quite the same as the job of a live-action costume designer, in more ways than existing exclusively in virtual space. Rather than creating the look of the character's clothing in terms of color and design, it's his job to make the clothing on computer-generated characters behave the way it would behave on a physical body. It's a unique sub-section of the computer animation world—and it's a career path Grover almost didn't follow. Although he grew up painting and drawing, "I kind of had the idea that maybe it's not going to be a career," Grover said during a recent publicity tour to Utah promoting Pixar's new feature, Coco. Instead, he had an idea while in high school that he wanted to pursue movie visual effects as a career. "I just assumed I needed to learn how to code," Grover says, "so I went the computer-programming route [in my first year at BYU] ... I enjoyed it, but thought, 'I'm not sure that's what I want.'" The timing of his LDS mission turned out to be perfect. 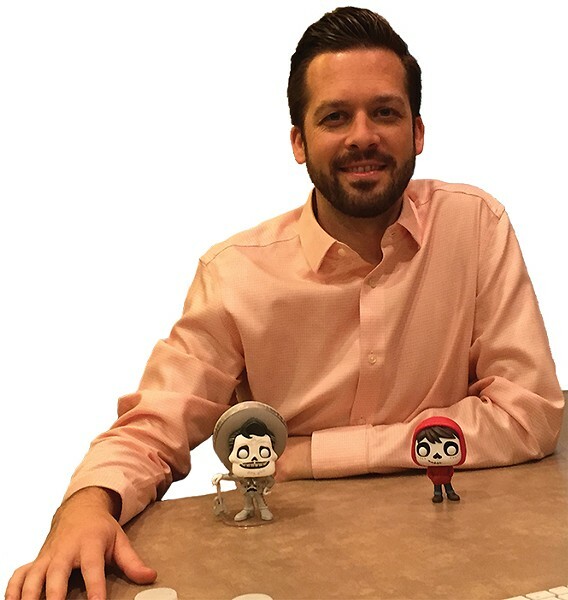 When he returned, Grover learned about the BYU Animation Program, which has subsequently produced award-winning short films and become a respected feeder school for animation houses like Pixar and DreamWorks. "I came back a week before school started, planning to take art classes and get into graphic design," Grover says. He "met a friend who was in the animation program, and I said, 'There's an animation program?' I found out about it and was like, 'That is the thing that I wanted to do.'" Grover has now worked at Pixar for 10 years, on features including Up, Brave, Inside Out and Finding Dory. His focus has been in the cloth department, where his computer-science background and his artistic interest prove crucial. "At Pixar, we have research engineers who are just incredible minds in computer programming and development," he says. "Then we have character animators and artists who have almost no technical ability. In [the cloth department], we kind of sit in the middle, using both sides of the brain." The role of the cloth artist is to simulate the physics of the way clothing moves, with that cloth rendered as a bunch of connected triangles. The character beneath the cloth is also rendered in geometric shapes, and the interaction between the cloth and the character, as Grover describes it, is "a physics engine—a mass spring system, where every triangle is connected and based on mathematical parameters, like how much it can bend, or stretch in a certain direction. My job is feeding the simulator instructions for how this particular piece of clothing should fall." When the "person" wearing those clothes is a cartoon character, of course, there can be unique physics to simulate. "In animation," Grover says, "characters do crazy things. We need to make it so that when a character jumps, the cloth doesn't just fly off and explode. It's more like theatrical costuming, where we have to glue and tape it in just the right place so that it doesn't move." 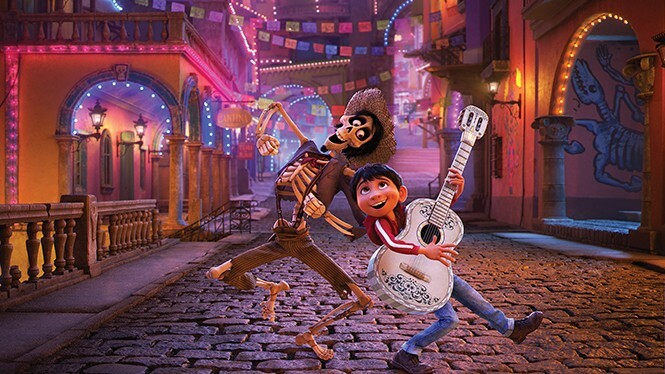 For Coco, those dynamics were complicated by the fact that several of the main characters in the story—much of which is set in the Día de los Muertos-inspired Land of the Dead—are skeletons. The distinctive requirements for how clothing would behave with nothing but bones underneath required the creation of an entirely new version of a "collision detection system"—the program that tells the cloth how to react when it makes contact with a point of the character's body. "We're always doing little research projects, especially with our main characters," Grover says. "We're always trying to be preemptive, and discover what the animators might want to do." Sometimes, however, being the person who responds to the creative needs of an artist means improvising. Grover describes such a situation involving one of Coco's main characters, a skeleton named Hector. "Originally, when we were designing him, we put suspenders on him, a connection between the upper half and bottom half," Grover says. "We kind of made a deal that we wouldn't break him in half. Well, the very first shot we got into, the animator comes to me and says, 'I kinda want to break him in half.' Well, all right, let's do it. When we came to a time where the animators wanted to break him apart, how can we cheat about when he's got his suspenders up or down?" Like we said: It's not quite the same as the job of a live-action costume designer.